In Sonoma county, the most important outcome of election day 1912 wasn’t who would become president; it was whether voters would kill the roadhouses. Before launching into this topic, I need to offer a mea culpa; a few articles here regarding the year 1912 are being updated. Accuracy is important (or should be) to anyone who cares about history, and events that happened around New Year 1913 shine a different light on some earlier stories. My small consolation is those late developments even caught local newspapers by surprise, as you’ll read below. In June 1912, voters in the unincorporated parts of the second district elected to go “dry” (the second district was then a north-south strip west of the Laguna, from the Russian River to Petaluma). 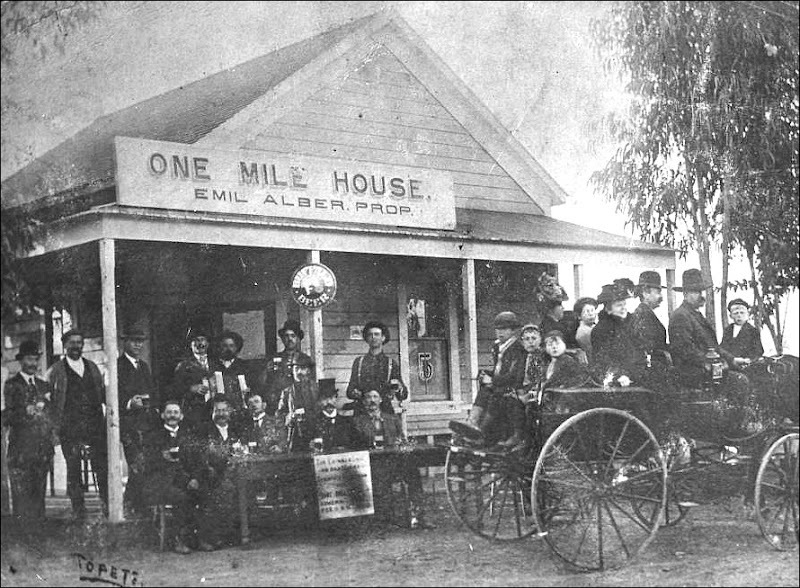 Saloons were still allowed in the towns of Sebastopol and Petaluma but country roadhouses were forced to close, or at least stop serving alcohol. While the temperance movement was locally gathering steam in 1912 and 1913, both Santa Rosa newspapers expected the law to pass because roadhouses were harming property values and reducing productivity of farmworkers. There were only about a dozen places in rural West County impacted by the closures, but the roadhouse scene was expanding closer to the county’s more urban areas. It’s not hard to understand why; more people had cars to escape the city, roads were being improved for autos, and towns (particularly Petaluma) were discouraging – and even banning – dancing to popular music. At the country roadhouse, anything goes. But as 1912 rolled on, nearly every week brought stories in the Bay Area papers about serious accidents, even deaths, because of roadhouse drunks “joy riding.” Women were found to be drinking in public (horrors!) and some were prostitutes who were arrested. And on July 1, the governor of Oregon declared martial law as a platoon of cops laid siege to a pair of particularly notorious roadhouses outside Portland. Increasingly counties around the state were banning roadhouses. That was at the end of August. Over the next two months before the vote, I can’t find a single op/ed in either Santa Rosa paper concerning the proposal, pro or con. Make of that what you will; my interpretation is that they didn’t think it had a chance in hell of passage. Unlike the earlier second district vote where ballots were cast only by those who lived within the affected rural areas, this was to be decided at a high-profile, November election where every voter in the county could have a say. And the city folk liked saloons (or at least the menfolk, who were allowed to drink inside, did). Surprise! The ordinance passed easily – thirteen points, 56 to 43. All of the towns voted for it by a comfortable margin including Santa Rosa. But actually that was only the first surprise; no one knew how to implement the new law, or whether it was really legal. A few days later, the Press Democrat offered an article headlined, “ANTI-ROAD HOUSE ELECTION NOW HELD TO BE INVALID.” The Presiding Justice of the Appeals Court said it violated the “local option” law, where only a community could choose to make itself “wet” or “dry,” as happened in the earlier second district vote. Towns had no say on the matter; Petaluma voters, for example, couldn’t set the rules for distant Geyserville. “The anti-roadhouse ordinance, carried at the election held in Sonoma county a week ago last Tuesday, is null and void,” the PD declared, “there is no doubt whatever but that the election in this county on the matter is invalid.” There were still no op/eds on the matter in either Santa Rosa paper, which is why I was lulled into presuming this really was not a Big Deal. The other suit was against John D’Arcy Connolly, an Irishman who had been on the Board of Supervisors in the 1880s and served as U.S. Consul in Auckland for eight years in the 1890s. Connolly owned the Hotel Altamont in Occidental, which was the nexus of West County social life. The Hotel Altamont was a challenge to a very particular part of the ordinance, requiring a place to be a “bona fide hotel, having at least thirty-five separate sleeping apartments properly furnished for the accommodation of guests, and having dining room at which meals are served at regular hours.” The Altamont qualified in every way – except it did not quite have the 35 guest rooms required. One has to believe the Anti-Roadhouse League chose that very precise, arbitrary number because they knew no place had that many beds. A week before Christmas, the Connolly case was presented to Superior Court Judge Denny in a courtroom packed with an audience representing both sides. Denny ruled in favor of the ordinance immediately after arguments in order to expedite it proceeding to the California Supreme Court. Confusion reigned. Most (all?) liquor licenses were to expire in just a few days, on January 1. The Board of Supervisors had stated no licenses would be issued “until the courts have passed upon the validity” of the ordinance. Since the matter was still headed to the State Supreme Court, was the law in effect or not? District Attorney Clarence F. Lea declared on Dec. 28 that the ordinance would be followed. No new liquor licenses for roadhouses. No alcohol to be served after midnight on New Year’s Eve anywhere outside of a handful of towns in the central part of the county. D.A. Lea would have been reckless if he didn’t request a police guard that night. All of this is prelude to the fallout in the following year, which will unfold in the following item. It’s the wildest political story I’ve encountered for Sonoma county – emotions ran high on both sides. I’ll close with this teaser: Six days into the new year, the Board met to consider the “injury being done to the legitimate business in the county.” This was followed by a motion granting liquor licenses to fourteen country saloons who had filed affidavits with the county clerk swearing their hotels indeed have the required 35 rooms. One of the licenses went to J. D. Connolly – apparently he somehow discovered over the Christmas holidays the Altamont had enough rooms after all, and the Supervisors were more than happy to take his word for it. Up to this point roadhouses have been peripheral to issues explored in this journal. Women weren’t allowed to drink liquor or even enter a saloon so it was an interesting news item in 1907 when a roadhouse in the Sonoma Valley was closed after a party of men and women were spotted drinking together and cussing. Some places were also shut down for selling alcohol to Indians because under the strict 1908 county law there was a fine of $500 and six months in jail for selling booze to anyone with just one-fourth Native American blood. And in 1912, the sheriff raided a Fulton roadhouse because they were holding a dance where hipsters were breaking out those new, obscene “ragtime” dance steps. Roadhouses were more than a saloon in the country. 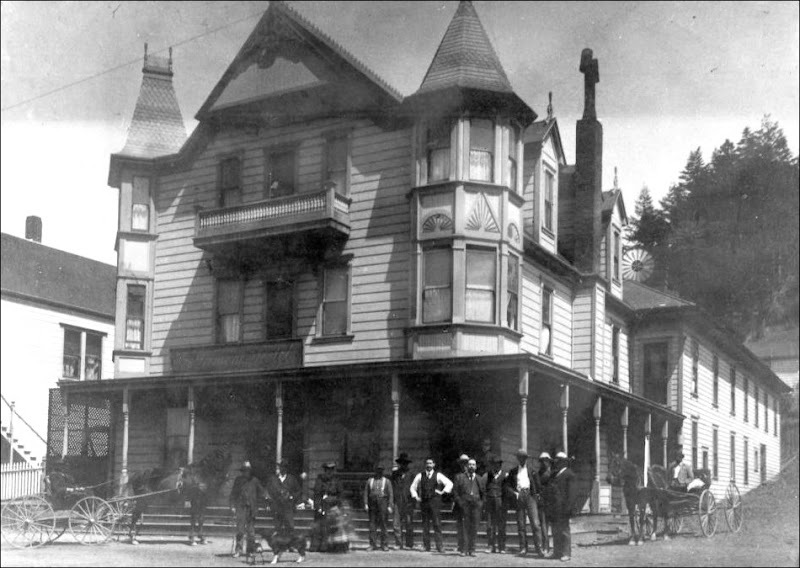 Sometimes they had a few bedrooms and it was claimed to be a hotel; sometimes food was served and the place called itself a restaurant, even if the only thing on the menu was a plate of saltine crackers (a couple of dives in Santa Rosa were busted in 1907 for serving up such a “meal”). But usually there was no pretense about the place; it could be an old farmhouse or shack, with a flat wooden board for a bartop, a few tables and chairs – and a liquor license. Being in the county, these were little fiefdoms ruled by the will and whim of the proprietor. Did saloons in town have to be closed on Sundays? Thirsty men could head out to the roadhouse, which was nearly always open. “Ragging” was outlawed in Petaluma at the time and Santa Rosa was under pressure to ban it as well, but there were no prudish rules about close contact dancing at the roadhouse (while there was no country ordinance against dancing, the deputy in Fulton apparently believed there was other monkey business afoot). From at least 1910 on, the roadhouse and its offshoots take more of a central role in Sonoma County history. Some of the reasons were unique to where we are and who we were; some were more in common with other places in America. Certainly the advent of automobiles brought more traffic to roadhouses everywhere, but in Sonoma County we shouldn’t make too much of it. At the time there was a popular electric trolley connecting all of central county as well as light rail going down the Sonoma Valley. There was probably a roadhouse only a few steps away from every rural train platform. And that’s not even considering the booming playland along the Russian River which began to emerge after 1910, when the railway coming up the coast from San Francisco finally connected with the little train that rattled along the river. Every year new places popped up, making it a nearly continuous party scene. It would not be surprising to discover most money coming into the county by 1940 was tied directly to drinking and dancing along River Road. As longtime readers know, Santa Rosa had a major tenderloin district around the intersection of First and D streets, with at least a dozen houses operating. The city curbed prostitution somewhat in 1909, forcing the bordellos to be more discreet about their business and apparently pushing some of the traffic out into the countryside (MORE BACKGROUND). Soon after the crackdown a pair of “brothel agents” were arrested in El Verano, where they were apparently planning to setup a house. A few years later, a large bordello outside of Sebastopol was raided and closed. Never before had the Santa Rosa newspapers mentioned problems with prostitution in rural areas. There are so many saloons and road houses there that the district has become notorious. Much of the indignation aroused has been occasioned by the fact that practically every resort of this character is located right on the main county road, where it and the conditions it creates are constantly flaunted in the faces of the passers-by. Most of these places do not even have an excuse for existence, but are road-houses and nothing else…Present conditions in the beautiful Sonoma valley should never have been allowed to develop. Not all, but most of the road-houses there are cheap, unattractive places that have been established in the near vicinity of popular summer resorts in the hope of diverting trade that rightfully belongs to the institutions upon which they hoped to prey like leeches, they live off the blood created and furnished by somebody else. The number of saloons and road-houses in the Sonoma valley is out of all reason. No self-respecting community could be expected to continue forever to put up with conditions such as exist there. That led to the county trying to kill the roadhouses outright (or at least seriously hobble them), which created a political mess that will be unpeeled here later. Next, however, we’re going to lurch forward more than twenty years to look at the aftermath of all this in El Verano, with the long residence of infamous madam “Spanish Kitty” and Sonoma County’s claim to gangster fame with the stopover of trigger-happy Baby Face Nelson. “Resolved, That no new or additional liquor licenses he issued for such business in either of said precincts, also that no license for any new saloon be granted until the number of saloons in said precincts become less than twelve, and that the number of such licenses be limited to twelve for both such precincts. That the residents of Sonoma Valley have just cause for complaint, no reasonable person can deny. There are so many saloons and road houses there that the district has become notorious. Much of the indignation aroused has been occasioned by the fact that practically every resort of this character is located right on the main county road, where it and the conditions it creates are constantly flaunted in the faces of the passers-by. Most of these places do not even have an excuse for existence, but are road-houses and nothing else. Others are part of reputable and well-established summer resorts–the kind that represent large investments and really attract people to such a community during the summer time. Comparatively few people have any serious objection to a resort of this character being allowed to conduct a bar or club-house in connection provided the same be properly managed and its existence not unduly emphasized. …I have lived here for almost a quarter of a century, and have friends and neighbors in both factions. On both sides are bad and good arguments. Let us consider some of these from a financial and moral standpoint. First the financial: Up to about ten years ago this valley was dead. Land near Sonoma, El Verano and along the valley could hardly be sold at any price; settlers were few and far between. Within the last decade there has been a great increase in population and real estate values. In the last five years Sonoma has forged ahead more than it did in the twenty-five previous years–with her court house, the water, light and sewer systems. The valley has also good electric light and telephone systems. What brought all this prosperity to the valley? The summer people. …This valley is emphatically a summer resort and dependent on that alone for its prosperity. It creates a demand for hotels, such as Boyes, Fetters, Richards and the many other hotels throughout the valley; it creates a demand for small holdings for summer homes; it creates a home market for farm products; hence the demand for small farms and the rise in real estate values. The land, which could not be sold for $100 an acre, in selling fast now for $250 an acre.